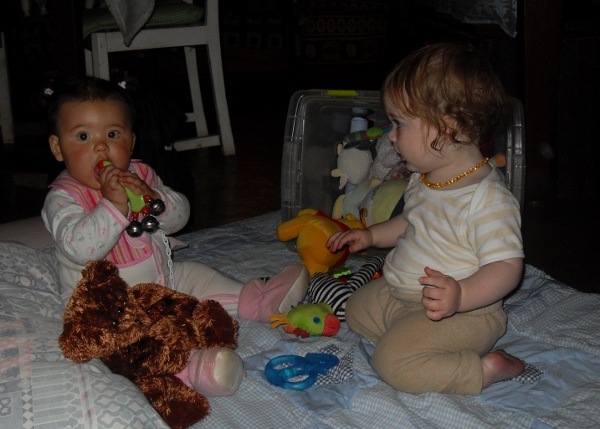 This week we asked: What does your playgroup look like? Christine blogs African Babies Don’t Cry. 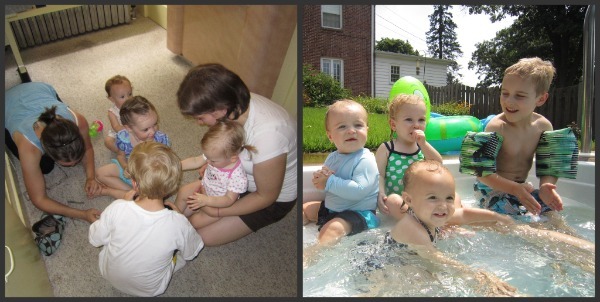 Tell us: What does playgroup look like in your family? My favorite is all the hair on a lot of those babies in the last shot! 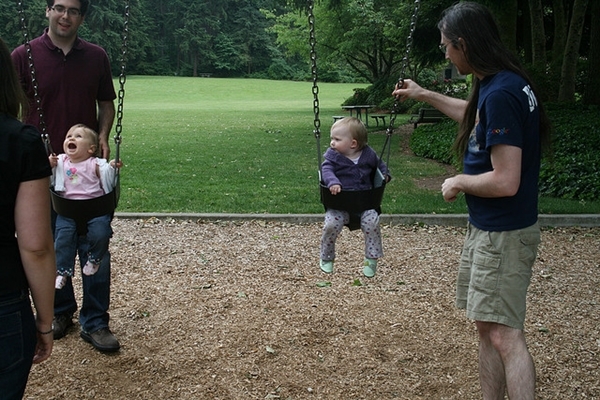 I also like how they’re more a lounge-group than a playgroup at that age. Too fun! Love the babies all in a line! Oh Lani that picture of the babies is precious!! So cute! We really need to start making it to Lani’s playgroup. They live so close. Beautiful! I’m a little envious of all the playgroup fun as I’m in a similar situation to Christine being quite isolated but playdates are so much fun when they happen 🙂 LOVE the babies all in a line and that they are still getting together. I watched a show about longevity and it said that people live longer and happier when they are part of a strong peer group that grow together. Happy, blessed lives babies! Looks like a lot of fun! 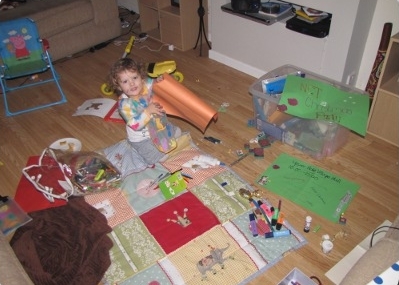 I love pictures from baby playgroups, what a hoot! So much cute! I’ve had great luck with playgroups of different sorts — age/location based, a local AP group one, and ones with my twins club. Each group is a little different, some gel better or differently, some have more staying power than others, but they’ve all been fun and helpful in getting me and my kids get out of the house to socialize a bit. I highly recommend them!